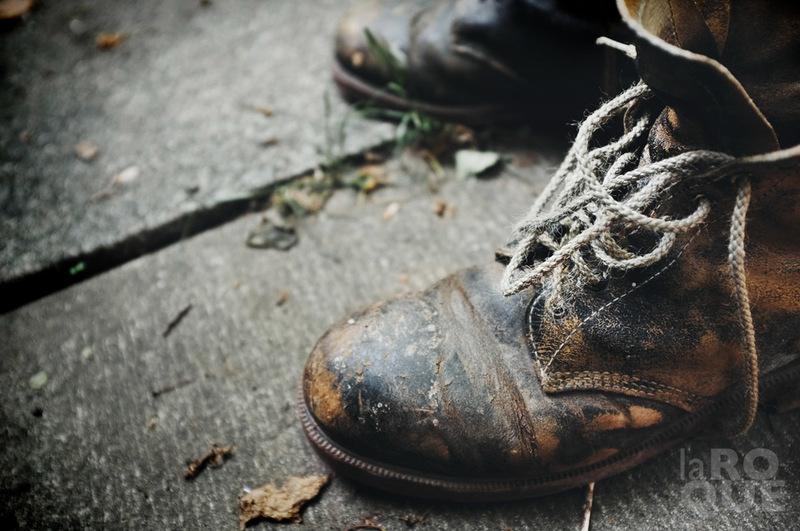 One of the most vivid memories I have of my father is an old pair of boots. Strange what stays with you when the people you love are gone and time has chewed away at life’s canvas. My father was a business man with the heart of a feral child. He taught me to be quiet and listen to the forest, the field, the mountain. How to walk without making a sound. “It’s the only way you’ll ever get to see anything” he’d say, “You must become part of it”. I’ve heard his voice on every trail and every camping trip since then. At home, on weekends from April to October he wore his big yellow construction boots. Actually they weren’t really yellow anymore, more like a faded beige. 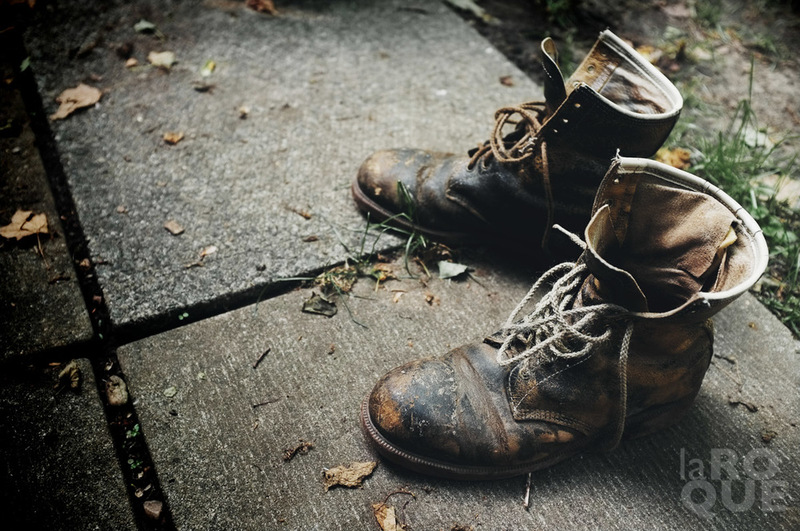 He’d wear them half-tied, tongue hanging out, as he messed about in the garden, mowed the lawn, dipped his protected toes into that soil he loved so much. Those boots were my father. For as long as I remember. Now I’ve got a pair just like them. They’ve seen some very different things though. They were once covered in black spray paint and strutting around a stage. They sniffed the streets and underground bars, hailing taxi cabs as the sun came up and vampires scrambled to their beds. They screamed insanities and slept in strange rooms with a bottle of JD. Now they’ve somehow found their way back to earth. They mow the lawn and plant the flowers and empty the gutters. Now they even look like my father’s old boots. And perhaps one day they’ll be in my kids’ hearts too.